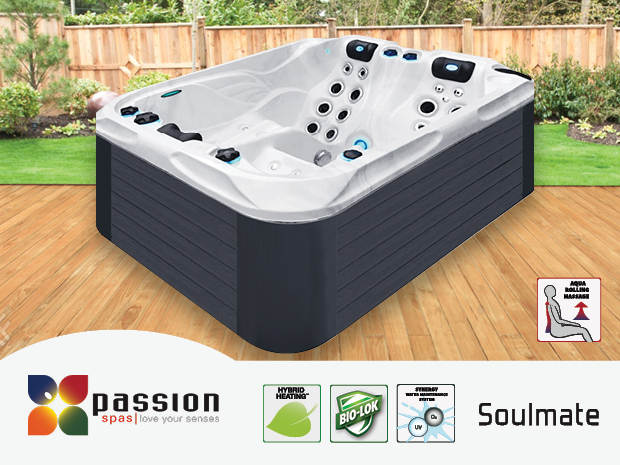 The Soulmate is the latest spa in Passion Spas’ Signature Collection. It combines two cozy loungers with the intensive massage of the unique Aqua Rolling Therapy seat. Both loungers offer comfortable seating for people of different body lengths as well as different massage therapies. The spa is fitted with a lighting package which is stunning when the lights are low or in the nighttime if the spa is located outdoors. 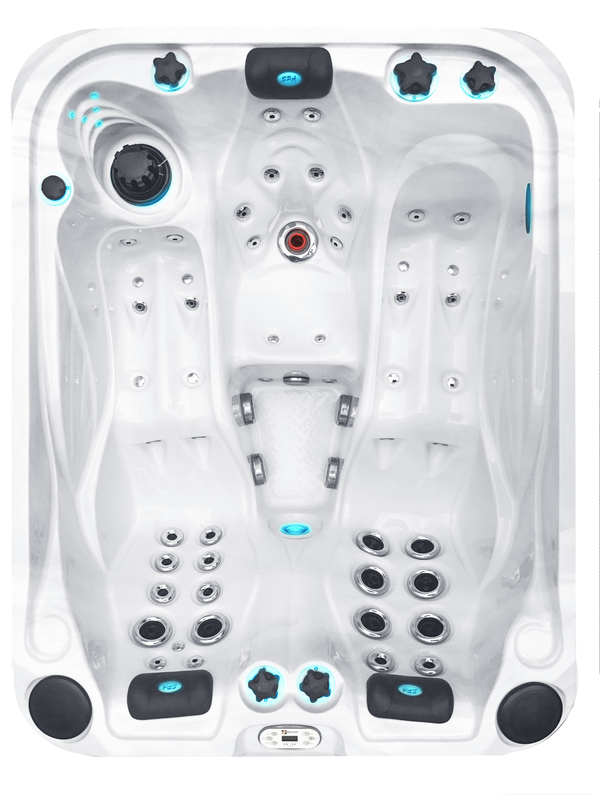 All controls, pillows, and cabinet corner accents offer accent lighting that, together with Passion Spas sound system, will create a magical experience for you. 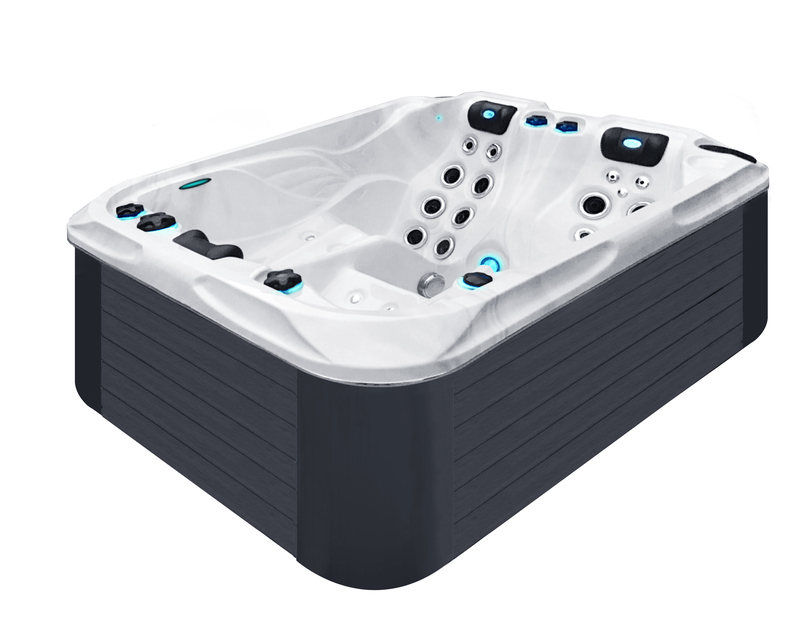 The Soulmate is an excellent choice if you are looking for a compact spa for you and your significant other.